At SpaPaws we have two dog grooming options available, including professional shampoo, bathing and drying. We also include brush out and de-matt, trimming, cutting and a good health check. Our grooming spa is open five days a week, so we can fit into even the busiest dog owners schedule! Get Your dog washed and cleaned in no time at all. Full groom and styling for your dog - the way you want. All prices quoted are for guide purposes only and are subject to change depending on the size and breed of dog. All of the services above include: cleaning of ears & nails clipped as standard. A message from Sarah Meacham (SpaPaws Owner). 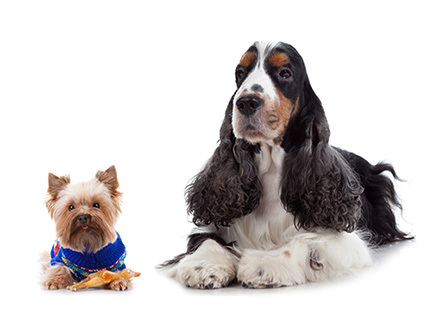 "Your dogs health & well-being is our primary aim. That's why we invest in the best equipment and up-to-date training with City & Guilds. We only use modern and safe grooming techniques that put your dog at the heart of everything we do, we believe grooming should be a pleasant experience for your dog and one that is fun and friendly.